He was first runner-up for the nomination in 2008. In 1994, Mitt Romney proved to be the most difficult challenger that incumbent Senator Ted Kennedy of Massachusetts ever faced for re-election, causing Kennedy to pour far more money into the race than he expected. In November 2018, Romney attacked President Trump for criticizing the mainstream media for its bias against him. After his election, establishment Republican House Speaker Paul Ryan stated that Romney saw himself "as a standard-bearer for our party" and a moral successor to globalist Republican John McCain. 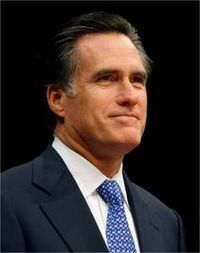 On January 1, 2019, Romney published an op-ed in The Washington Post in which he harshly attacked President Trump, claiming he did not have the "character" to be president – despite Romney's own flip-flopping and opportunism – and in the op-ed, he also subtly criticized America First immigration policies along with conservative European populists while showing support for the globalist European Union. In a later interview, Romney stated he would not endorse Trump. In response to Romney's attacks, President Trump noted Romney had failed in his presidential attempts while Trump won on his first try, and he urged Romney to work together with the GOP. Trump also noted that Romney was being harsher on him than on Obama. Rand Paul also criticized Romney, describing him as a "Big Government [Republican] who never liked Reagan" and who "wants to signal how virtuous he is in comparison to the President." Even members of the GOP establishment believed the op-ed was "all about self-promotion." Romney was defended by disgraced FBI Director James Comey, and former left-wing Democrat Senator Harry Reid endorsed Romney for the GOP nomination in 2020. ↑ 39.0 39.1 39.2 39.3 39.4 Mason, Ian (February 19, 2018). As Mitt Romney Sets Sights on the Senate: 7 Highlights of His Post-Defeat Days. Breitbart News. Retrieved February 20, 2018. ↑ 47.0 47.1 47.2 Carney, Jordain (January 3, 2019). Romney gets seat on Foreign Relations committee. The Hill. Retrieved January 3, 2019. ↑ Pollak, Joel B. (January 5, 2018). Blue State Blues: Why Isn’t Mitt Romney Running for Senate in Massachusetts?. Breitbart News. Retrieved January 5, 2018. This page has been accessed 146,430 times.